Man shamed on plane for watching pirated Bollywood movie… by the star of the movie! 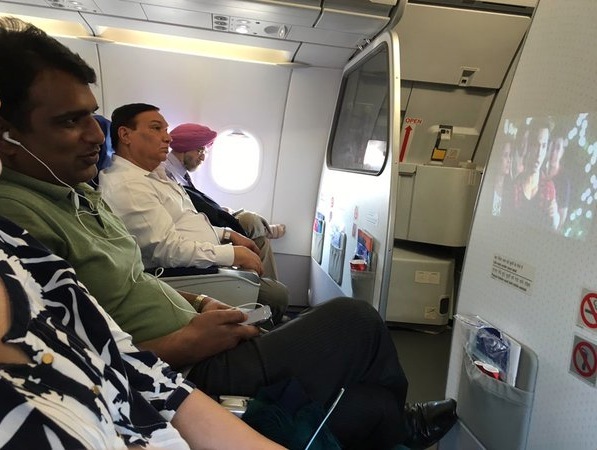 In one of the most bizarre stories you’ll hear all week, the star of a new Bollywood film called Dilwale caught a man watching an illegal version of the film on his iPhone, while sitting next to her on a plane. Kriti Sanon was travelling to Delhi with her mother when she noticed that the passenger next to her was watching the pirated copy. Sanon reported that she asked the man to stop viewing the film, but he refused. Piracy has been booming lately and reports last week showed that 2015’s most-pirated film, Interstellar, was illegally downloaded approximately 46 million times. On top of that, Game of Thrones was heavily pirated after a leak of four episodes on the internet before the fifth season.